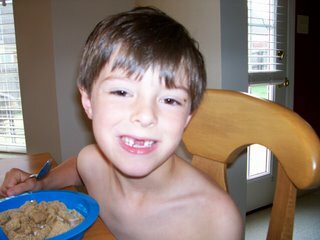 Wow, he has lost another tooth! His speech is temporarily impaired. Oh, thath's my preciouth grandthon! Can't wait to give you a kith when i thee you.